fat man running for less weight.2D hand drawn animation.4K.Includes green screen/alpha matte. fat man running for less weight on treatmill.2D hand drawn animation.4K.Includes green screen/alpha matte.Seamless loop. Health club animated word cloud, text design animation. 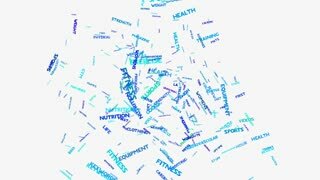 Health club animated word cloud, text design animation. Kinetic typography. Treadmill animated word cloud. Kinetic typography. Athletic woman walking on a treadmill in sport leggings. Close-up of legs in sport clothes.